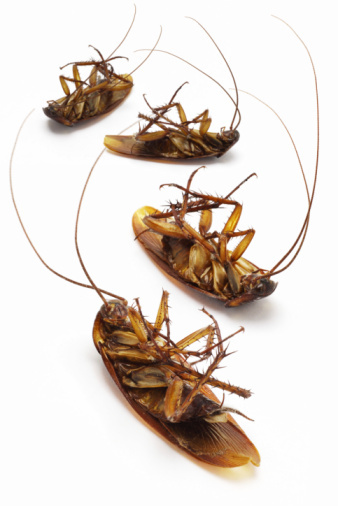 Staying Pest Free All Year - Yes Pest Pros, Inc. Staying Pest Free All Year - Yes Pest Pros, Inc.
Is Year Round Pest Control Possible? Yes. Keeping pests out and under control all year long is entirely possible. You simply need the right company with the correct knowledge and skills to ensure that it happens. Pests have different ways of getting into your home, and they are there for varying reasons, but that doesn’t mean it is wholly impossible to keep them out. Difficult, yes, but when you contact the right people, you won’t have to worry anymore. Pests can get in a variety of ways. Most will sneak in through cracks, holes, or simply come in through open vents, doors, or windows. If there is an opening they may deliberately decide to enter or they may get in by accident. Whatever the case, they may then begin to breed and that is where a lot of problems really start. A few insects transforms into dozens more, and in some cases, that can be damaging, such as with termites or carpenter ants. Making sure that you are pest free all year means first working with the pest control company to find out what kind of comprehensive plan they want to put into place. Every home may be slightly different depending upon the build of the house, the age of the home, its location, and any problems you may have had in the past. This will give them an idea of where they need to focus or what should be given an extra look. First they will take the time to eradicate any current pests. They will discover how pests are getting into your house and help you fix them or recommend methods of fixing them, such as adding in screens. They will also suggest things that can deter pests or otherwise make your home unattractive to them. For example, termites like the combination of wood and soil, so moving a woodpile away from your home means a less likely place for termites to start a colony. Once those issues are handled, they can lay down a layer of protection that will deter pests from entering your home. This can be done inside, outside, and even within soil. You also don’t have to worry about chemicals or toxins because using green products is always a priority. Pests keep clear, and plants, people, and animals are safe and sound. If you ever discover a pest in your home, a quick call to your pest exterminator will clear up the problem in no time – so you never have to concern yourself with pests again!